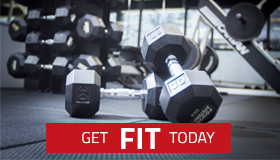 At Fitness Studio, we believe living fit means cultivating a lifestyle that is full of activity. That doesn’t always mean residing in the gym 24/7. There are alternatives to working out that you should consider, one of them being getting outside walking, hiking or biking. We have a variety of amazing trails in Maryland, so many that we can’t list them all. Here is our top list of trails in Maryland that are easily accessible and enjoyable this time of year. 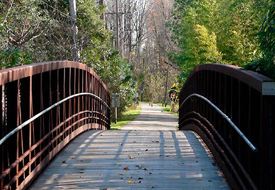 Get outside and try the B&A trail for walking, running, biking, or even take your dog. The Baltimore and Annapolis Trail trail is a 13.3-mile paved trail in Anne Arundel County, Maryland. It starts at Boulter’s Way in Arnold and ends near Baltimore Light Rail in Glen Burnie. The trail used to be an old railroad named the Annapolis and Baltimore Short Line. The trail winds through parks, neighborhoods, and natural wooded areas providing scenic views of trees, streams, and many historical points. If you’re looking for a paved trail with minimal hills and a little bit of history, then the B&A Trail is for you. Also well known for it’s Dog Beach, this is a great place for the whole family to enjoy. Downs Park Trail is located on the Chesapeake Bay just north of Gibson Island. The entrance fee to enter the park is only $3 per vehicle. 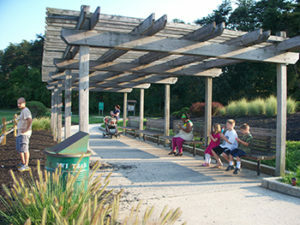 The 3.5-mile perimeter trail is paved with asphalt with some dirt trails, it’s a popular spot for walkers and cyclists. 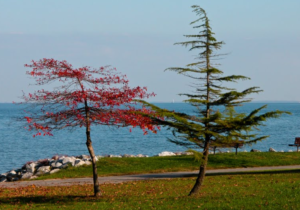 The park also has basketball courts, boating, camping areas, picnic pavilions, fishing piers, beaches, and playgrounds. If you like doing activities with your dog, Downs Park is the perfect place. They have nature trails and there is even a dog beach. Don’t let it’s proximity to BWI deter you, the park is surprisingly peaceful. Although this may be a bit aways from Annapolis, the BWI Trail is a great trail. Despite the BWI Despite being close the BWI-Thurgood Marshall Airport, much of the trail is peaceful. The BWI Trail is also perfect for commuters or for people that travel in and out of the DC or Maryland area. 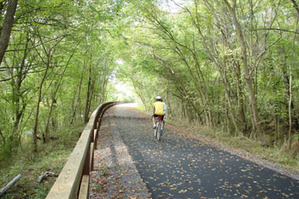 The BWI Trail is a 13.3-mile hiking and biking trail that completely encircles the BWI Airport. The trail itself is paved with asphalt and mostly flat. If you’re not commuting or traveling out of town, you are still able to access the BWI Trail. Add a different workout to your regimen by kayaking, rock climbing, or hiking. The Great Falls of the Potomac River are located above the fall line of the Potomac River. This beautiful park is operated by the National Park Service that has scenic views that are offered on both the Maryland and Virginia side. One of the most popular trails at Great Falls is the Billy Goat Trail on Bear Island is accessible from Maryland. 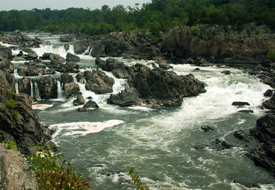 Great Falls is a great location for rock climbing, hiking, kayaking, and even whitewater rafting. If you are a history buff and like being outdoors – this is the trail for you! Plan a full day or two for your visit to the Western Maryland Rail Trail. It’s a 22-mile paved route that will take you through several eras of American history. You can access this trail from many points, but the main trailhead is in the town of Hancock. The western portion of the trail has remarkable views of the Potomac River. To the east, and just past Hancock, you can buy trailside snacks to enjoy on your journey. The Western Maryland Rail Trail is great for wildlife as well. Don’t be surprised if you see wild turkeys, deer, and sometimes bears. Are You Doing Push-Ups Correctly?